Let us prove the power of our anti malware software! Download a free trial of our anti malware software for Windows. Get free malware protection for your computer with our 15 day trial and discover the missing link in your PC security. Installation issues? Call 1-888-254-4354 for support. Efficient and User-friendly: Provides total protection from Malware and works cooperatively with any AntiVirus software. 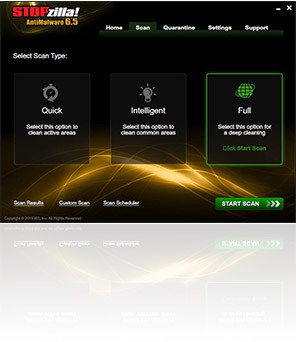 Extensive Database of Malware Threats: Helps in the detection and elimination of malware from your PC.